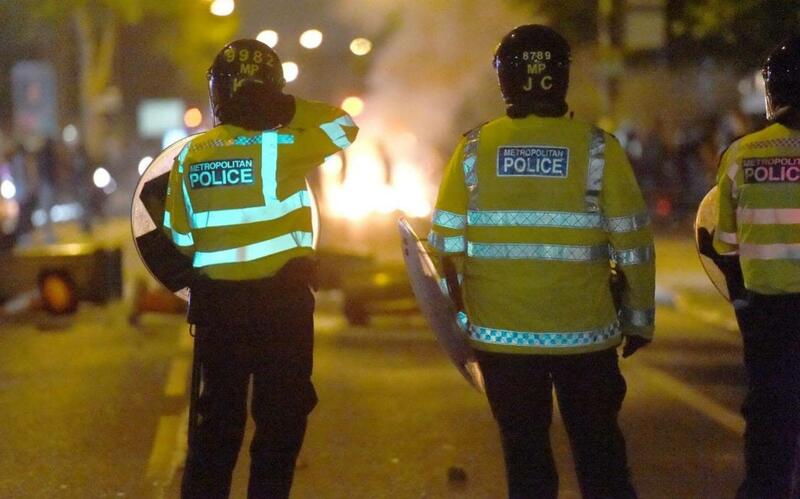 Last night, very near where I grew up, near where I live there was a clash between protesters and the police. Bins were torched, police were injured and there was a lot of shouting and a lot of noise. The underlying issue of this protest is a young man who tragically has died shortly after being stopped by the police in Beckton. The protesters are concerned that the police beat him and injured him so severely that these injuries directly led to his death. Now, I don’t know if that is true or not. And nor do you. I have not had good experiences with the police in my life, and that includes a five hour interview where the police lied to me on several occasions to pressure me into confessing to a crime I did not commit. But despite that my basic view is that most police are doing the best job they know how to do with the resources they have. I believe the inquest will bring out the key facts and in this political climate justice will be done. I also have read in many of the papers that this young man’s family did not want people to do anything other than peacefully protest. I think that is what matters the most right now. They need our prayers and love and grace, more than anyone else in this situation. They have lost their son forever, an unimaginable pain. We should all pray for them to know the comfort of God that passes all understanding. I believe many of those in this protest, those assaulting the police, those committing arson did not know the deceased or did not know him well. It seems to me that many young people in this nation are simply looking for a chance to rebel and to defy authority. The root of that goes back to their home life. If parents do not teach their children a respect for authority (I’m not talking about a blind unwavering submission to the state, I am well aware the state can be wrong – I’m talking about the deliberate destruction of council property and the assault of officers of the state), then people will not have appropriate respect for authority. Some people are just looking for a chance to rebel. Rebellion is one of the works of the flesh that Paul tells us about, and contrasts with the fruit of the Spirit which is love, joy, peace, patience, kindness, goodness, gentleness, meekness and self-control. If we are Christians we must not allow the flesh to lead us, but the fruit of the Spirit. And in case you think that doing this makes us doormats, Paul tells us against the fruit of the Spirit there is no law. Or in other words nothing can stand against the fruit of the Spirit. When you operate like this, no bins get burned, no police get assaulted but lives are changed, and society is changed. The wrath of man cannot work the purposes of God! But the fruit of the Spirit can. Those of us who want a more equal society, a more godly, a more glorious society, wrapping up and hiding your face and torching a bin or two is not the way forward. Walking in love and gentleness, with the true strength of godly character… That will change the world because you are sowing a different kind of seed. Now, let’s weigh in on a big part of this issue, and that is that the young man who sadly died was black, and the protesters last night were black. You might ask me how as a white man I can weigh on this, you might tell me that as I’ve never grown up as black, and I cannot speak into this. I would say I cannot avoid speaking into this. I am the pastor of one of the most genuinely multi-ethnic and multi-cultural churches in London. Join us on a Sunday morning and I guarantee the people around you will all be from different backgrounds and cultures. I am also keenly aware that Jesus says one of the markers of end times is that nation will war against nation. The Greek word for nation is ethnos which is where we get our English word ethnic and ethnicity. Jesus Christ himself said that at the end of time there would be a huge amount of racism leading to fighting, and I believe him. This doesn’t make me defeated or fatalistic, rather it inspires me to continue to build a house of prayer for many ethnicities in the heart of east London, and raise up leaders of every nationality. I am building a church that I want to be heaven on earth, and I read that in heaven every tribe and tongue worship together. So I believe I have a Biblical and God-given mandate to speak about this. And what I have to say may shock some, but please listen, think and consider. And know this, I love all people and my heart is for you no matter your background. This is how I see it today… Across London, the UK and also in the USA, the whole Black Lives Matter movement has become racist, it is judging people by the colour of their skin. It wants black lives to matter, but doesn’t seem to do anything to help black people, just rant and riot. In fact at the last riots a few years back, many black-owned businesses suffered. I believe in equality. I believe in civil rights for all. I would like to think if I was a pastor in America in the 50s and 60s I would be leading the way in ending segregation, which is a terrible thing, no matter the cost to me and to my reputation and ministry. I’d like to believe I would have been that brave. I hate segregation, and I still hate the segregation on Sunday mornings across my city. Martin Luther King is one of my heroes. Now one of the things Martin Luther King said is that his dream was that his sons would be judged “by the content of their character, not by the colour of their skin”. In other words, you can judge them, but not because they are black or white, but judge them as people, as individuals on the way they behave. Sadly, people have forgotten about Martin Luther King. They have forgotten his Christian ideals of peaceful, non-violent protest, and they have forgotten his desire for all people to be judged on the content of their character. Some people now want a free pass in life because of the colour of their skin. There are universities where black students are now demanding spaces free from white students so they feel safe. That is racism. That is judging people by the colour of their skin. That is failing to judge people by the content of their character. Of course black lives matter. Of course all lives matter. But the truth is, and I am telling you the truth because it is the truth that brings freedom, that you cannot control all black people, you cannot control all people. But the good news is that people cannot control you. Listen to me. I want to change the way you think. I don’t know who is reading this, I don’t know your background, your religion, your ethnicity. But whoever you are, let me tell you something: your life matters. Stop, read that again. Then re-read it again. Your life matters. And that you can do something about. You can exercise self-control, you can walk in faith and love and kindness. You can be decent to the people around you. You can better yourself today, don’t rage against the system, but look in the mirror and tell yourself: I am a champion, my life matters. It matters so much I don’t need to torch a bin, or assault the police. I can walk in love, I can choose a higher path. I can build relationships with people different to me. I can walk in my dreams. Nothing is holding you back. Let’s pray for everyone involved in what went on last night, especially for this man’s family. But let’s in the in the midst of our surroundings let’s walk by faith, in love, let’s build a house of prayer for all ethnicities. Let’s judge ourselves by the content of our character and if something is lacking, let’s hit it head on and develop good, godly character. If Jesus told the truth, race relations in big cities are going to get worse. Let’s be part of the solution, not the problem. Let’s love one another. Let’s help Martin Luther King’s dream come true today. Your life matters, so go out there and make it matter. All lives matter -?it is the enemy of our souls who magnifies race and makes that a root issue . Jesus died for all to be free. Character above race. ← Tree of Life Blog – Dream Team Coming Soon!